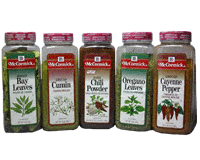 Add McCormick Cayenne Pepper anywhere that heat is desired. 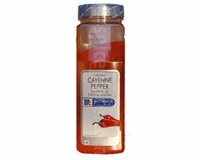 Cayenne Pepper is good in most Mexican and Cajun dishes. Add to dips, nachos, blackened fish or meats, barbecue sauces, and buffalo wings. Adds a flair of flavor to french fries and popcorn. Use sparingly as this product is very hot. Be sure to use care when cooking with this product as it will burn if it gets in eyes or cuts. Start by using just a dash per serving and adjust from there. Red Snapper with Hollandaise Sauce More Recipes..